A picture of the Toyota logo at City Toyota on May 11, 2010 in San Francisco, California. 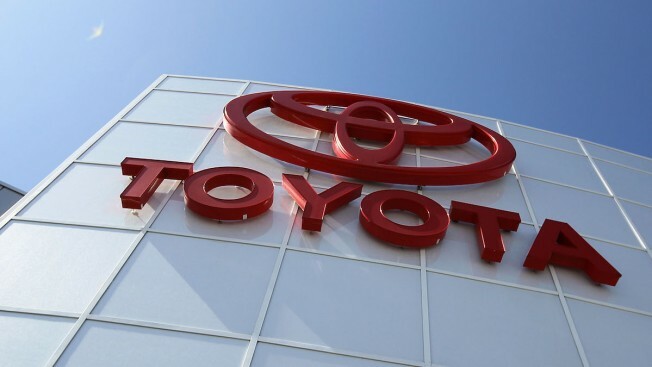 Toyota recently recalled over 70,000 vehicles in relation to a air bag inflator problem. A day after recalling about 70,000 Toyota and Lexus brand vehicles in North America to replace air bag inflators that could explode and hurl shrapnel at drivers and passengers, Toyota is recalling nearly 143,000 SUVs and pickups worldwide to fix air bag and brake problems. The first recall covers about 96,000 Toyota Land Cruisers and Lexus LX570 SUVs from 2008 through 2019. Toyota said a seat belt tension sensor can malfunction and deactivate the passenger's front, knee and side air bags. That would increase the injury risk in a crash. The company is developing a fix and will notify owners by mid-February. On Wednesday, the company recalled 70,000 vehicles inlcuding the 2003 to 2005 Corolla, the 2002 to 2005 Sequoia, the 2003 to 2005 Tundra and the 2002 to 2005 Lexus SC.